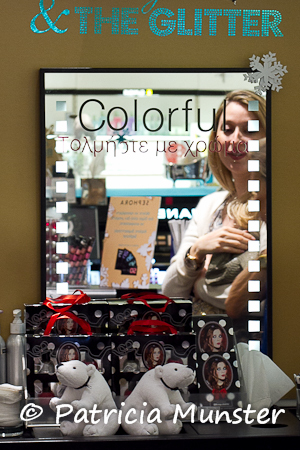 Elli Kokkinou visited this afternoon Sephora's store in The Golden Hall, Marousi (a suburb of Athens) to support this perfume and cosmetics company to promote the sales of a beauty bear. 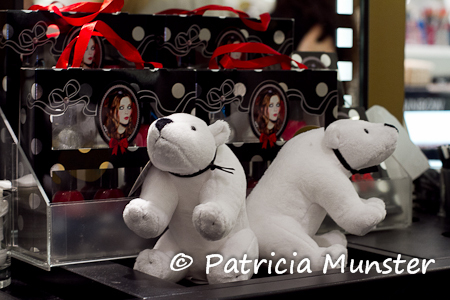 The proceeds of the sales of these polar bears are going the ELEPAP (http://www.elepap.gr/), a charity organization to support children with disabilities as you could read here. Let us now have a closer look at this plush polar bear. 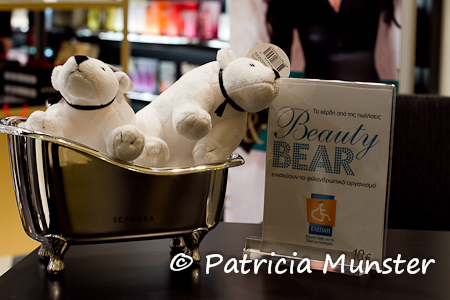 For 10 euros you can get this polar bear too, it is not just a gift to one person, you give also a physical therapy to a child of ELEPAP. 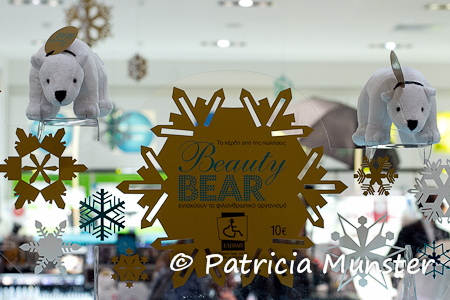 And don't forget this plush bear is not only a gift for children, it is also great as decoration in a Christmas basket with different kind of presents!